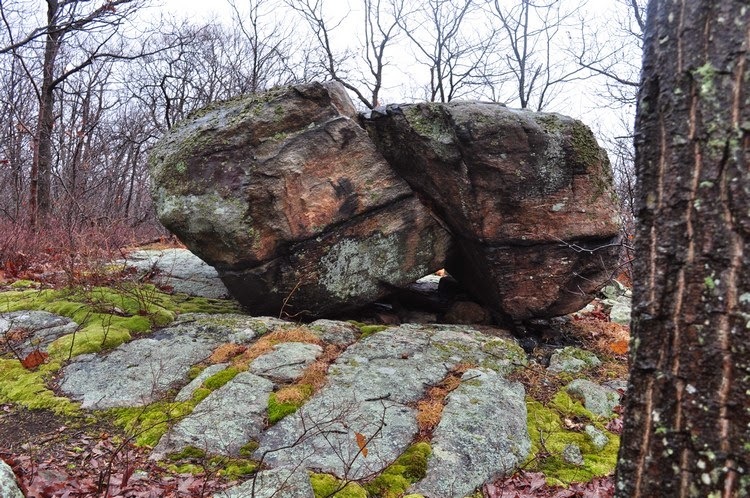 Wildcat Mountain is on the western fringe of Harriman State Park, on the other side of the Thruway and Route 17. 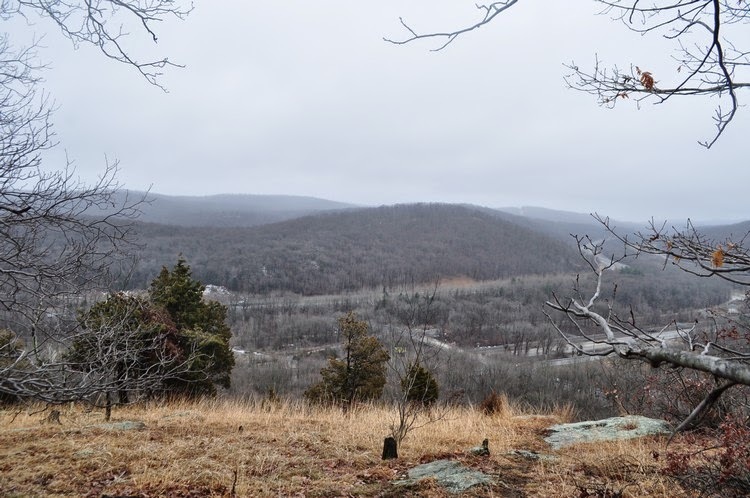 It should technically be in Sterling Forest, but it is still within the Harriman bounderies. 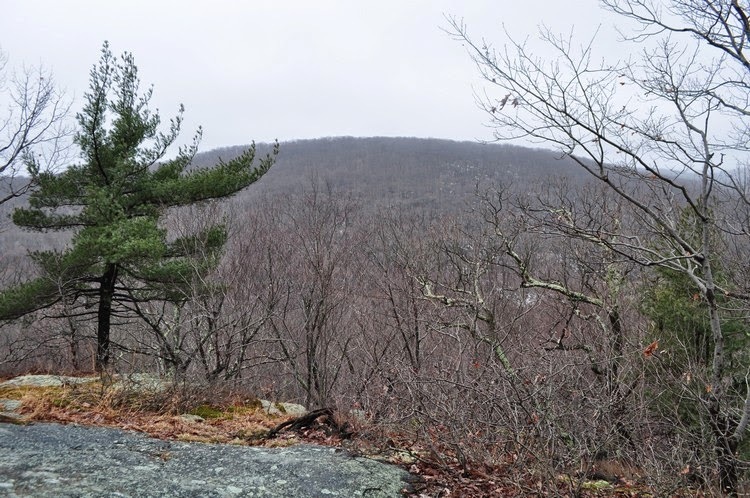 I had climbed this mountain several years earlier, but in my quest to complete every marked trail with Harriman I realized that during that hike I may not have continued far enough along the trail border into Sterling Forest. 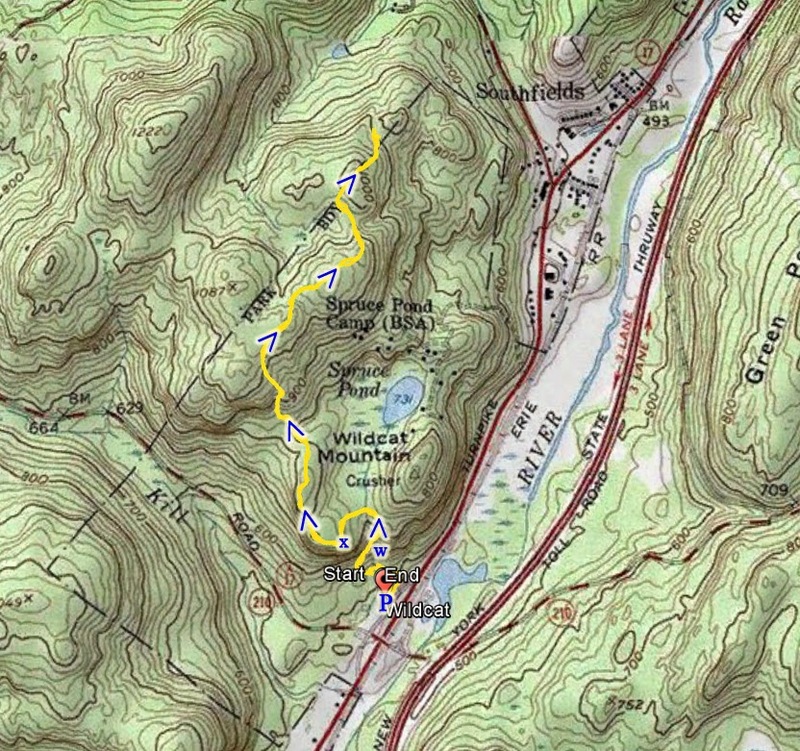 I therefore elected to hike this again and ensure via GPS that we ventured past the Sterling Forest border in order to complete the entire portion of the trail within Harriman. We parked at the parking area at the end of Route 17A where it meets Route 17. We took the Wildcat Mountain Trail up, and immediately noticed the waterfall. It has rained alot the previous day, perhaps several inches, and this had caused the ground to be overly saturated. 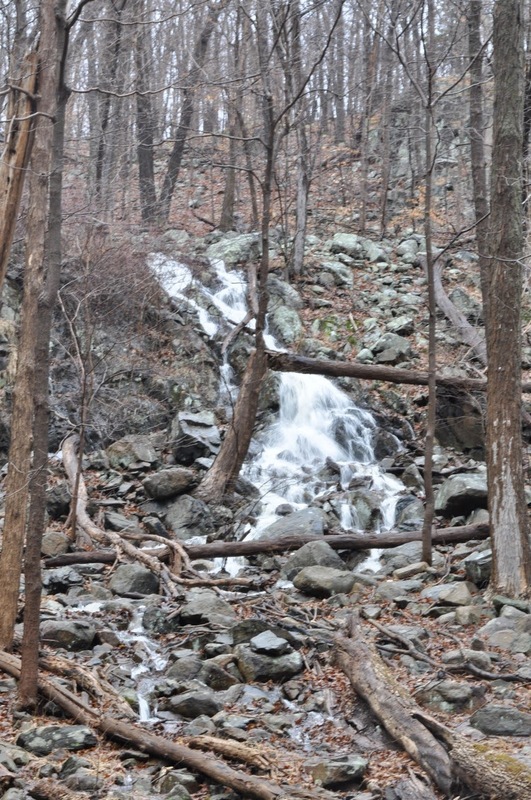 The small trickling stream was in fact a roaring waterfall tumbling down, and was a sight to behold. The pictures do not do justice to the setting. 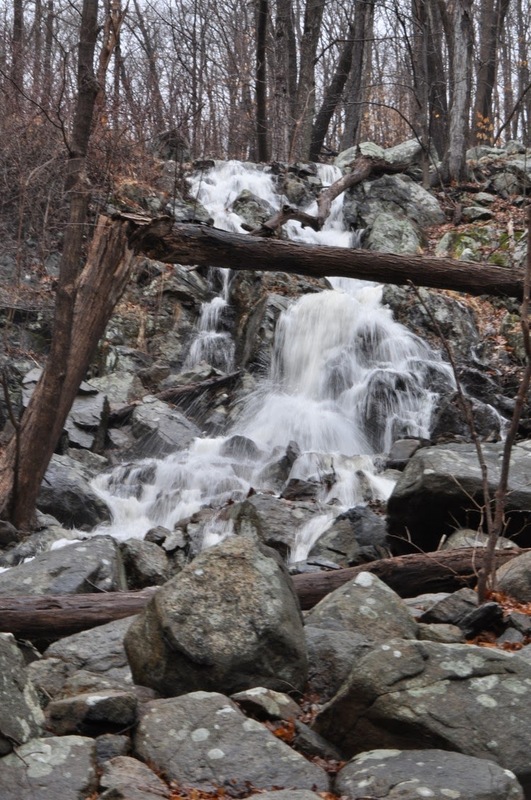 Unfortunately this waterfall is not present the rest of the year, and is only visible after a large rainstorm. 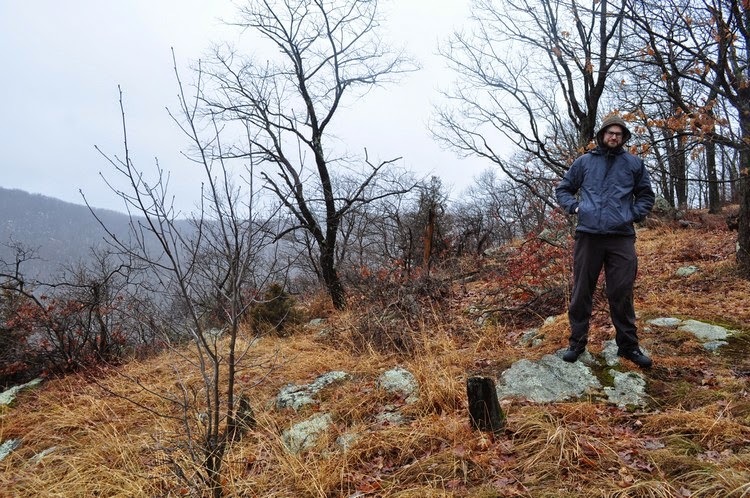 The weather continued being unstable, and although it didn't actively rain on the hike, it was misty and moist the entire time. 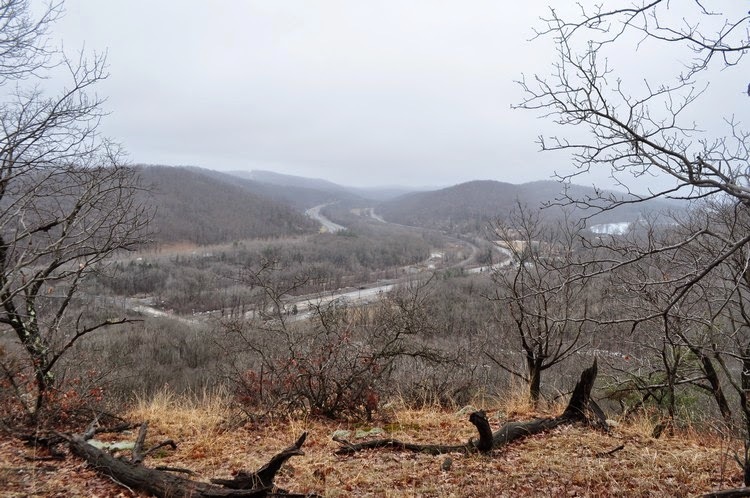 We headed around the loop the summit, and much of the view was shrouded by cloud cover. 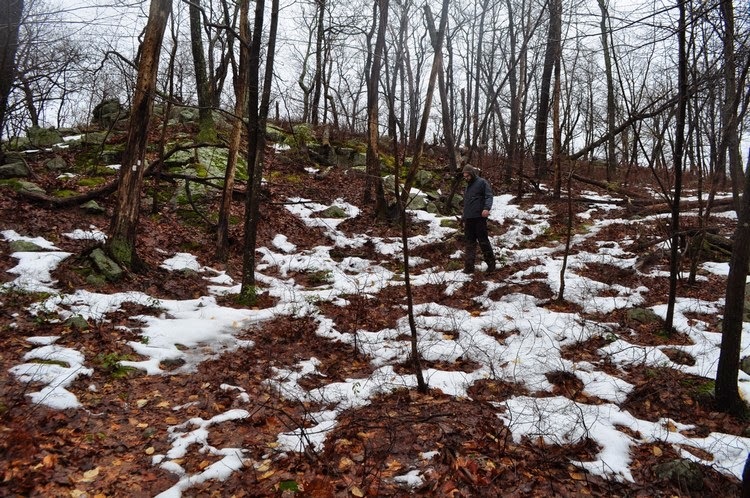 We continued along the path, passing a few remaining snow patches on the down-slopes facing away from the sun, and eventually made it to a small, unmarked pond within Sterling Forest, at which point we turned around and took the same route back. 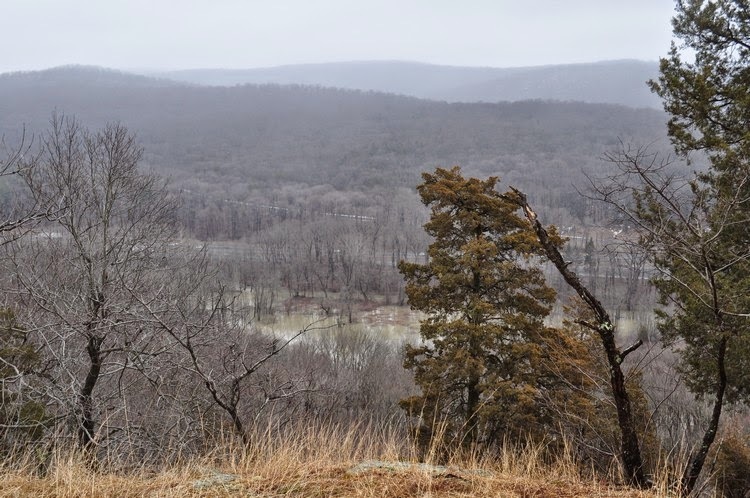 At the view on our return, the visibility had improved, and upon looking towards the Ramapo Valley, we noticed the river had flooded and overflown its banks. 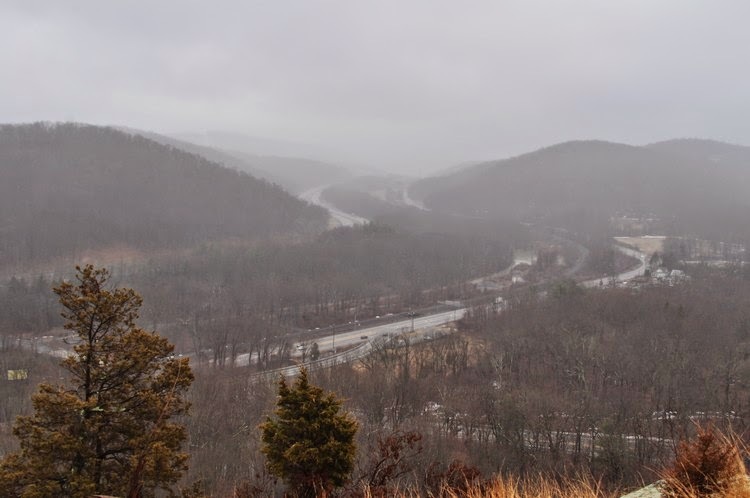 The Wet and Foggy View from Atop. Facing South Towards the Thruway and Route 17. View on the Return Trip. Facing South. 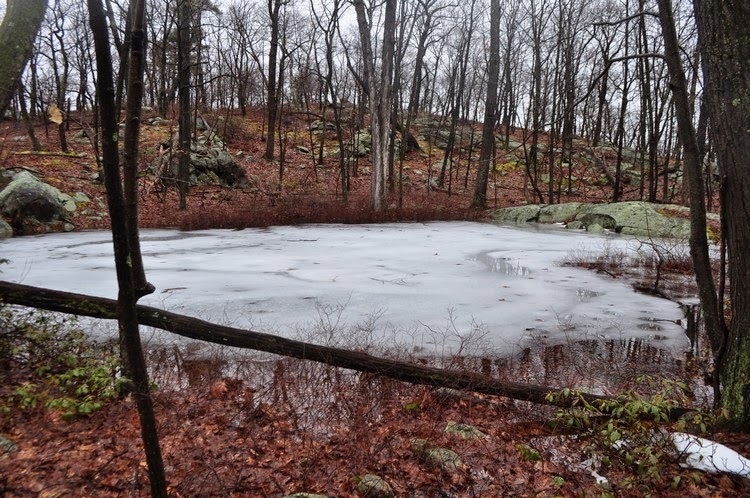 View Looking Towards the Flooded Ramapo River. Facing East.